Competition To Win An Amazing Joe Browns Coat: You don’t get if you don’t ask! I am so chuffed about this competition to win a gorgeous Joe Browns Navajo Coat worth £89.95; just look at that gorgeous lining, which will flash every time you walk or put it on and off. This coat says ‘I’m happy to stand out, I’m gorgeous, I’m sparkly, I’m bored of being dull’, ‘I might be a Mum, but I’m also a person in her own right’. When I go on the school run, I’m one of a huge number of black quilted sausages walking up and down the school drive. Curly Headed Boy’s school has it’s own weird micro-climate which means that it’s always a couple of degrees colder by the school than anywhere else in Hertfordshire, so there is sense in the sausages. There is one lone Mum in a red quilted sausage! But even when the weather is good, Mums seem to navigate towards boring dull coats, in dull boring colours and dull shapeless shapes. Why? In the few seconds it takes to put on a coat, you can give yourself a massive pick me up straight away. So next time you catch yourself in a shop window or the mirror of a lift, one of you lucky ladies is going to look fabulous in a Joe Browns coat (sizes 8-18 available). I hope that those of you who don’t win will consider your next coat purchase more carefully, and just push the boundaries a little. This coat has taught me a couple of valuable lessons, and made me think through a lot about Mummy Blogging in general. I have been getting a Joe Browns catalogue for a while, but had never bought anything as I’d been waiting until my weight loss stabilised. Then I fell in love with their coats and cheekily tweeted did anyone fancy giving me one. To my surprise I got a reply from the lovely ‘Best British Bloggers‘ – OMG! So this definitely proves that if you don’t ask you don’t get, and over the last couple of months I’ve been thinking more about my blog and what I would ask for it to achieve and do. Ironically at the same time a big (rather typical) argument kicked off in the mummy blogging world, with people accusing other bloggers of being blaggers, blah blah blah. I wrote a post about how important it is to realise that we are all blaggers in our own way, somewhere or other, and that it’s important to not ignore it but ‘use your blagging for good’. Some people really got it. Others didn’t, they just wanted to be sure that no one ever considered them a blagger, and didn’t see that I was saying that as long as you are giving a fair deal to your readers, the PR, the company and yourself, then blagging is a really useful quality to use sometimes. Was it cheeky of me to ask for a Joe Browns coat; yes, thats why I consider myself a ‘blagger’. But was it without fair reason? I don’t think so. I’ve been blogging since 2009, I’ve won a national UK blogging award, my stats are above average, I’ve put in the hours and the posts. Although they offered me the coat, I quickly decided that it was fairer for them to give it away as a competition because they will get more views that way. Luckily for me they then sent me a top, which is gorgeous. Which is especially lucky as with the Big Northern Hubby being made redundant I wasn’t going to be able to buy myself my promised stash of Joe Browns stuff. Expect a lot more ‘blagging’ from me over the next couple of months, because the practicalities are that I need to change my priorities, but that doesn’t mean that you won’t be still getting great posts. My book is out there and written now (only 99p remember, and you can read it on a computer, phone, iPad or Kindle!). Now I need to cover my fixed costs, my variable costs and the cost of childcare, and that is not a small number. If I can’t cover the cost, I won’t blog; end of. Luckily for me, the mummy blogging world is also full of very kind women who have come to my aid over the last couple of weeks and taught me so much. So my chances of bringing in some money have improved massively; thank you so much ladies! Back to the competition. I’m using one of those cute Rafflecopter widgets. You have to enter a comment, and then click the button to say that you’ve done it. I’d like a comment about the worst or best coat you’ve ever worn, or why you love Joe Browns stuff please. You can then increase your entries if you wish by liking Facebook pages and following on twitter etc. The closing date is Thursday Dec 15th at midnight – any entries after then will not count – and the results will be released first thing on Friday 16th. I will need your address really quickly, to make sure that your coat is sent out on the 16th or 19th of December. I help Mums (and me!) to enjoy being a Mum more with my books, blog, facebook groups, online courses and my Salon and Spa. Remember to subscribe to my blog or newsletter so that you never miss a post! Competition and What on earth to buy the relatives who has everything? My current winter coat is my “bargain of a lifetime – a black wool coat that was sold by Asda about three or four years ago – £15!! It washes brilliantly and will last for ages yet. I’ve also got two macs from Asda for the same price – one black and one electric blue. Mine is a purple velvet coat that looks amazing but is completely ineffective at keeping out the cold!! Oh well, there’s always the sausage! I have the most beautiful bright turquoise swing coat which I wore through my pregnancy but it’s just not practical as it has 3/4 length sleeves. Why oh why do they make winter coats with 3/4 length sleeves. Would lie to win this as I really really need a new coat!! I love wearing my partner’s Duffle Coat (it drives him round the bend though). I love Joe Brown’s clothes as it makes me feel like i’m a superstar in the movies (cue Adam and the Ants songs)!! My current coat i’ve had for 3 years and is of the military style and its getting old and very worn but i still LOVE it!! I Love Joe Browns clothes as their stuff is just that little bit different. I always drool over their catalogue. I would sooooo love to win this coat! Gorgeous coat! I love the red one in their catalogue too! Would love to have teh cash to splash. I love Joe Browns clothing because it’s not your run-of-the-mill, carbon copy high street fashion, and it’s so wonderfully striking that it comes complete with an instant confidence boost, and guaranteed admiration! I would like to try Joe Browns clothing because I’ve never had a coat that I really like. I’m like you, lusting after a lot of Joe Browns items but waiting and waiting … and waiting! The worst coat I had was a grey puffer jacket, it made me look like the Michelin man! My favourite coat ever was a pale grey, funnel neck wool coat. I bought it in a closing down sale in a boutique for £10 about ten years ago. It was originally on sale at nearly £300! The coat was beautifully soft and always looked wonderful. I wore it so often but it stopped fitting me (I got bigger!) so it eventually went to charity. I hope someone else loved it as much as I did! I don’t have a Joe Brown’s coat … yet! I LOVE the the red one in the current catalog. The lines are unusual and I love the patterns. And no one has one! I’m currently one of the black sausages picking up my child from school. LOL! I adore Joe Browns stuff because its all such unique and funky clothing! The sort of thing you’d find in Brighton but in an online store! Really need a new coat! I’ve not got a proper coat as just wear hubby’s cast off cricket jackets! My best coat is a brown trenchcoat style thing I got from Zara – it doesn’t fit at the moment, two kids in quick succession and I’m not back to normal yet…. I wear a trench coat for style but layer underneath to keep me warm. I’ve not heard of Joe Brown’s clothing before but judging by the prize it is stylish and just a little bit different from the run of the mill designs without being too wacky. Oh my that is gorgeous! I would love the coat, as the one I have has a patch on the back, that I thought you can’t see.. but everyone can’t see and it is very embarrassing and I like the rag woman. I love Joe Browns clothing because it is elegant and timeless. I really need a new coat this would fit the bill. I love this coat! I took my Winter one from last year out of the wardrobe a few months ago and it had gone mouldy!!! I love this Joe Brown’s coat! If I owned it I think I would go out walking every day just to get to wear it! I have one Joe Browns top, the pink hoodie, and it is so lovely and easy to wear. It is very comfortable, slightly hippy and very ‘me’. People always say how nice it is, they think it is velvet at first glance. It is flattering to my ‘mummy tummy’ and makes me feel really special just wearing it! I would love the opportunity to feel like this more often by winning this gorgeous Joe Browns coat! I love flicking through the Joe Browns catalogue as everything is “different”. I am really REALLY liking the coat on offer too. I love how they manage to look both classic and ‘on trend’. I am still waiting for my best coat experience! I have a friend who always has the perfect coat for an outfit but I either have my very formal work coat or my trusty, but hardly chic, Berghaus. that would be a vast improvement on my current coat! I have a fab coat from Joe Browns that gets many compliments – I’d love to have another! My worst coat experience was when I bought a coat I loved, just to find out one of my friends bought exactly the same one. I expect my coats to last forever so I get really fed up when one gives up the ghost too early (less than double figures for years), but far too late to take back to the shop. My worst coat was bought from a charity shop when I was a ‘cool’ 17 year old. It was a replica military/soldier jacket in khaki. It had a few wee holes in it which I thought were bullet holes, more than likely they were moth holes! My mother HATED this coat and out and out refused to let me wear it out! I couldn’t put up with her moaning so eventually it went back to the charity shop. I brought a coat from a well known catalogue in the sale due to short of funds and its awful got a massive hole in the pocket too! Joe Browns clothes are really original, comfy and made of great fabrics. Every time I spend any time with my Dad around the holiday season he insists on buying me a new coat because I usually end up wearing a heavy sweater that is covered in snot (not mine) and wotsit dust from my son wiping his hands on me after eating a packet. My best coat was an amazing fake fur beast of a coat that reached to my knees. I knew that everyone was jealous of my coat and that I was the coolest girl in college. Recently I found a photo of me wearing it and in truth I looked like a muppet. My best coat was a purple woolen one from Marks and Spencer, I had it a few months, and then found it wouldn’t do up around the belly, did a test, and woo! That was why, little squirtle was in my belly! Coats! How can you have too many? For rain, for wind, for cold, for dressing up, for walking the dog, for camping, for snuggling, for being the Bees’s Knees, for standing watching children play sport, for family route marches. I love coats! I like red coats for snowy days (not that I want to look like Santa!) I always think I feel brighter wearing red. I remember when leather full length coats were all the rage. I got one and it was the coldest coat I’ve ever possessed! Brrr. I had a couple of gloverall duffle coats when I was at school and I adored them. My worst coat was the one I wore two winters ago, I was heavily pregnant and just couldn’t find anything that fitted. I ended up with a sludgy green thing with arms that were slightly too short! Not attractive. Joe Browns clothes,comfy but oh so different. I love how different their clothes are! My worst coat experience was a gorgeous coat I bought from Debenhams, it cost over £120 and was just perfect, until my mum bought a copy one from M&Co for £25 and insisted on wearing it whenever she saw me, even when I was pregnant and had no other coat to wear! I had a major meltdown one day due to the hormones and I banned her from ever wearing hers again!!!!!!! Love the unique lines and quirkiness. I would love this Joe Brown’s coat, it’s very stylish. I have a great coat from Asda – cost me £15 about four years ago. It’s wool, washes well (yes, I risk that myself – eek) and occasionally has to have the pocket linings sewn up and a button put back on but it’s fabulous!! It’s my “work coat” as it’s very smart but also one that is comfy to wear. My best loved coat was a £30 sale item from Dorothy Perkins. It’s black with a high colour and military style buttons. I bought it just after I had Joel, 4 years ago, and it’s kind of had it – the buttons are tatty and it’s gone bobbly, so I need a new one. What a fabulous blog entry, really made me think about the school run! I too was a black padded sausage, sadly I still am! I love Joe Brown clothes, just that little bit quirky without being too outlandish – perfect for breaking free from the school run boredom. I adore Joe Brown’s clothes. 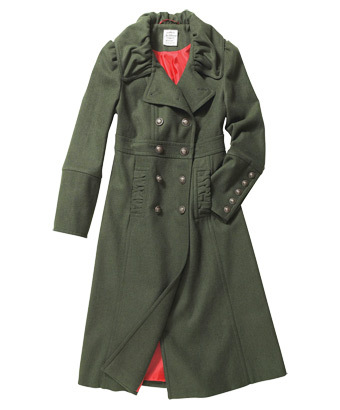 This coat looks amazing – would love to win it! There’s ben a coat crisis here lately as I’ve managed to completely lose a coat – how is that even possible??? Worst coat experience is forgetting my coat in Lancashire when going back to uni in Sheffield, in winter, in the snow, and having to go to a lecture in a t-shirt. Needless to say I bought a new one that day. Joe Browns coat would be wonderful and just what I would need for the cold and windy winters in upstate NY. My favourite coat is my Joe Brown “happy” tartan coat with mismatched buttons, but my happy coat is not so jolly lately as she is lonely and yearning for a sister Joe Brown coat for company. Please make the formerly happy coat smile in time for Christmas! At the moment I'm unlikely to do reviews or sponsored posts. Please read my Contact Me page for more info. No42 in Parenting Blogs 2018! These are my words and photos. Don't steal them! Ask if you would like to link to them, and I might say yes if you credit me. ESPECIALLY don't take photos of my children without asking; I'm likely to hunt you down! BE WARNED some of my photos are paid for, so if I don't hunt you down, iStockPhoto will. I've written a disclosure policy about cookies, comments and posts that I might get paid for. Check out my 'Blog' page under 'Contact me' for more information. Copyright © 2019 The Mummy Whisperer Blog.